ResidentDante: Legends of blacklisted ray men and splintered cells! Legends of blacklisted ray men and splintered cells! This time around I'll be reviewing two rather different Ubisoft games I've been playing lately. I bought both on a "buy two Ubisoft titles and get a discount" type of sale. I had to order them before the critic reviews arrived, luckily they are both fantastic games! History seems to repeat itself with 2D platformers. I grew up on them in the late eighties and early nineties. Ranging from the original Super Mario Bros. on the 8-bit NES, through the "awesomeness" era that was the early 90's kids favourite blue 16-bit icon; Sonic the Hedgehog on the Mega Drive and then for the introduction of pre-rendered 3D for Donkey Kong Country on the SNES. Now in the last seven years, since the reintroduction of New Super Mario Bros. in 2006 on the Nintendo DS handheld system, the genre is all the rage again. Mostly because of young and new gamers which never followed the development from 2D to 3D games back in the day. It's a genre that there still is a lot of life in. 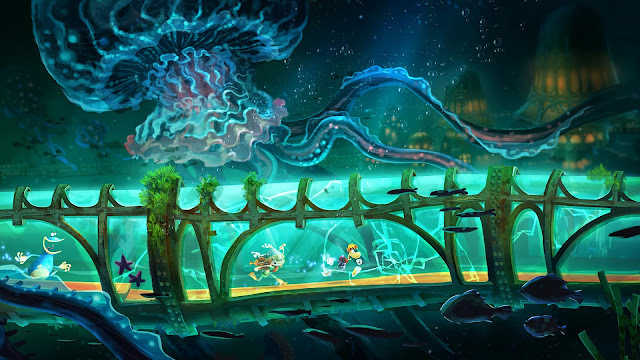 A couple of years ago Rayman Origins (2011) breathed life back into the old style 2D Rayman (much like Nintendo did with the Mario games), which had been lying stale since the early PlayStation 1 days. 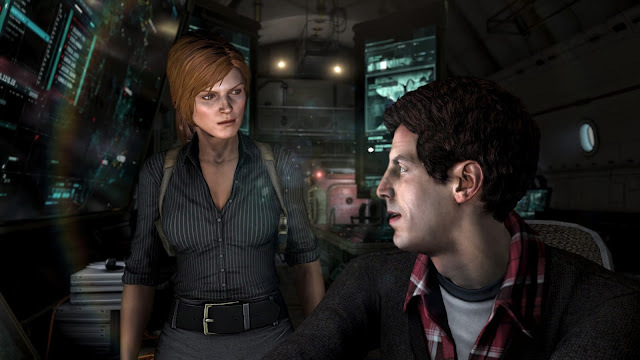 As stunning and entertaining as Origins was, the sequel had to be and indeed has, proved to do what it's predecessor did brilliantly, even better. Here we are at Rayman Legends after a few delays and platform changes! I really recommend playing this game co-operatively! Boss battles have a huge scale! Right from the start you cannot be anything but impressed by how beautiful the game looks. With it's colourful palette, funny and cute characters and enemies; Legends looks amazing, and it actually surpasses Origins graphically. 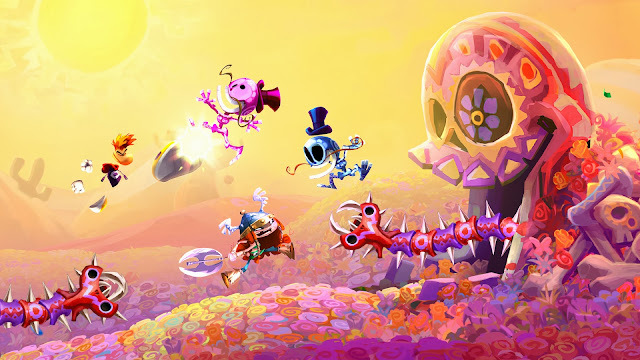 It is the most incredible looking 2D game to date, and cheerful too! If Origins looked like a great hand drawing, well then Legends looks like a beautiful oil painting. I just love the art style with it's imaginative and quirky worlds. There's a great assortment design in each world with lots of variation spanning between the levels contained in each one. The distinct look of and attention to small detail in each level make everyone of them unique and atmospheric. "Legends looks like a beautiful oil painting." To make every level even more varied, the hidden levels, containing a queen or king Teensie (the small blue guys you need to find ten of in each level), have even better puzzles and challenges than before. Every boss battle feels distinctly different and have just the right amount of difficulty. I find the game more fair and balanced when it comes to how challenging it becomes. There are more checkpoints than in Origins, but it still requires that you play your best and progress in your skills. However, some of the extra levels that appear later on in the game, called Invaded, will be making you pull out your hair in frustration. They are hard, extremely hard! Speaking about levels, I can't let the music levels go without a mention! These show up as an end-level for each world. 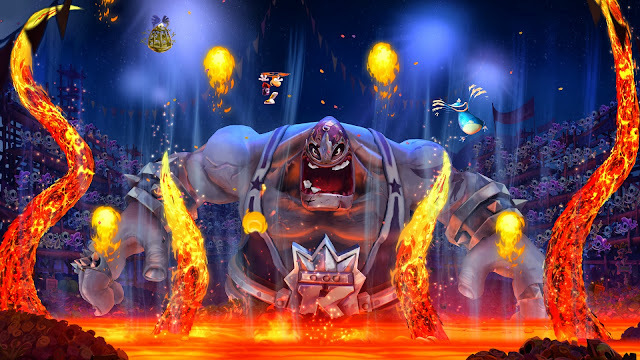 They feature a famous song each, covered with the typical quirky and funny Rayman music. You need to jump and hit things in time with the tune playing. A sort of Guitar Hero made into a platforming level! They are so fun and put a smile to the face of anybody playing them! There are also daily and weekly online challenges to compete with highscores from players around the world. The game even has a funny 2D football game too! It truly is packed with content! Every level has a huge number of details! 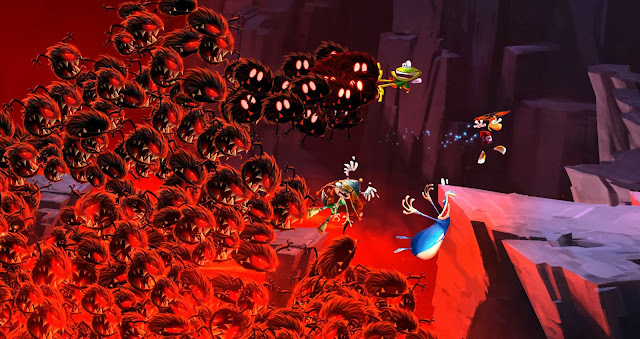 Rayman Legends was originally intended to be a Nintendo Wii U exclusive, it shows with the inclusion of almost the whole of Rayman Origins in the game. It was most likely added to the game because Wii U-only users never received Origins for their system. For the 360 users though, I felt it little unnecessary to be playing all the Origins levels once again (they aren't part of the main game). They could have made another world or two instead, stuffed with new levels for the main story. I can't complain for extra content though and it was fun to replay levels from the fantastic Origins. The original console intention idea also shows when the character Murphy turns up. He's a little helper that can open doors, activate levers and cut ropes to make it possible for your main character to progress through levels. It's kind of obvious his moves were meant for a touch screen. In the 360/PS3 version he's simply mapped to a single button. It adds some new variation in the gameplay though, and some of the levels containing him are very fun, especially if you play cooperatively with a friend! My first encounter with Rayman (and the platinum range) was on the PS1! The amount of content and value for money in Rayman Legends is incredible, and be in no doubt that this game is a solid contender for one of the games of the year! It truly is one of the best and most beautiful 2D platformers I have ever played and should be picked up immediately. I found it, just like Origins, to be a fantastic game to play together with someone. There's just so much fun co-operating though every level and helping each other out! If you loved Origins; buy this game. If you love Nintendo 2D platformers; buy this game. Heck, if you love pure, classic gaming; just buy this game! Legends clearly shows that this genre still has so much more to offer! One of 2013's most beautiful, cheerful and addictive games! 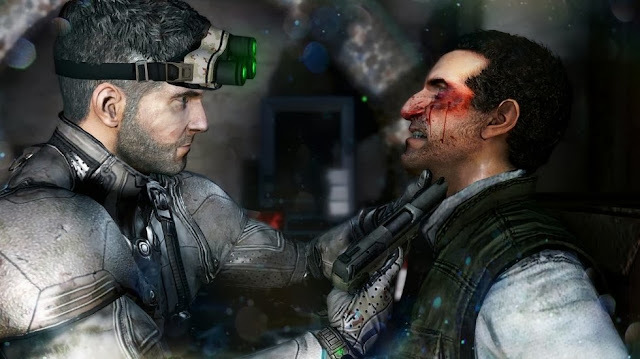 Next to the Metal Gear Solid series and it's famous Solid Snake character, Splinter Cell has a followed a more realistic and believable stealth approach to it's storyline. Inspired by Tom Clancy's popular books. The main hero, Sam Fischer, is back; voiced and motion captured by a new actor. Will the series bring back the glory to it's most famous games back in the Xbox 1 and PC era? 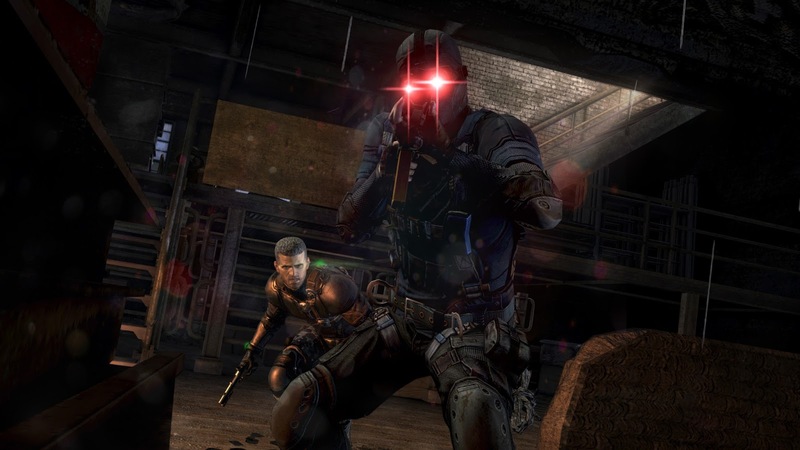 Splinter Cell seemed to stir up a bit of mixed feelings from fans and critics alike with the showing of Blacklist at last years Electronic Entertainment Expo (E3). 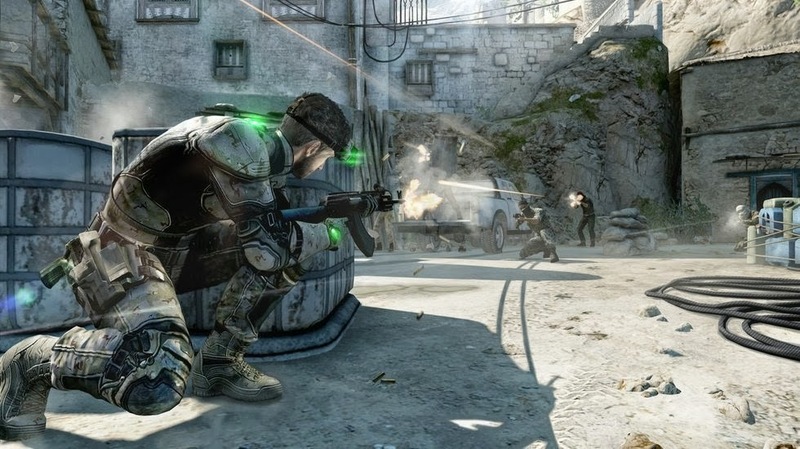 It tried to return to a more espionage style of game, but seemed to be a continuation of Splinter Cell Conviction's more action orientated gameplay style. Conviction was a game I really enjoyed, even though the stealth was put partially to side for a faster pace and action packed gameplay style. The final build of Blacklist however, seems to take the best of both worlds. The result is a very enjoyable game. Perhaps one of the best secret agent/stealth games in years. You can't take much damage before dying. There are numerous ways to take out enemies. Blacklist sees Sam Fischer chasing across the globe after a terrorist group called "The Engineers", their motive being to get the US out of foreign countries and attacking them through smaller sleeper cells following what they call a "Blacklist" (hence the game title). The game puts you in control of the newly established counter-terrorism unit named "Fourth Echelon", which are based in a cargo airplane called "Paladin". The Paladin airplane works as a main hub for the missions in the game, the idea lends itself somewhat from Mass Effect's Normandie spaceship, and I found it to be an excellent idea. On board the Paladin you can talk to crew members, change weapons and clothing to suit each mission and upgrade the airplane itself. On a centralised control table onboard, with a world map, you have full overview of the main story missions alongside side missions. "The Paladin airplane works as a main hub for the missions......I found it to be an excellent idea." These side missions can be played in coop (both through the internet and locally) and there are even multiplayer competitive events. I really like how they have seamlessly integrated the coop this time, rather than separating it into two games the way they did in SC: Conviction. Successfully completing missions and taking down enemies in varied ways earns you money. The money again can be used to buy new accessories, weapons with multiple upgrades and gear. It works as a sort of levelling system and makes Sam more powerful over time. Replaying missions gets easier with upgraded equipment. The dialogue and story is really good. Playing Blacklist using mostly stealth options is the most fun imo. The gameplay lends itself a lot to SC: Conviction, but brings back more of the stealth elements of the older SC games. Gone is the terrible black and white filter that shows you are hidden and in it's replacement a small light on your suit that lights up indicating how visible you are to enemy soldiers. The execution move is still present and takes a perfect enemy take down to fill and use. The take down can be a well executed stealth kill or a perfect headshot. Using the execution move is easy, simply mark three enemies and press fire when they are close enough. To shake things up a bit though, Blacklist introduces enemies with helmets that can take a headshot. This helps to make the execution moves a little less powerful than in Conviction. There's a huge variation in the places you visit throughout the game, both graphically and location wise. They do a great job in being detailed with lots of entry points. They cater for gamers wanting to go guns blazing into each level and for those who wish to play the game sneaking around in the shadows completely undetected. This really helps the game appeal to a wide audience and can be played by both action and stealth fans. It adds a ton of replay value too. It's a nice change to see a game where both you and enemies go down with single bullets, rather than being almost invincible bullet sponges. There are some disappointments though. The main story isn't very long to complete, that is however, if you simply don't do any side-missions. Something I wouldn't encourage anybody to do. The side-missions have some really cool locations and are equally as good as the ones in the main story. The technical side of SC is slightly two-sided; on one side the sheer variation in places you visit s and the design of them is impressive, on the other hand the Unreal 3 engine is showing it's age. The textures and especially the facial detail and animations are bland. It's a nice looking game, but nothing that stands out. "I won't ask again; where is the cookie jar?!" 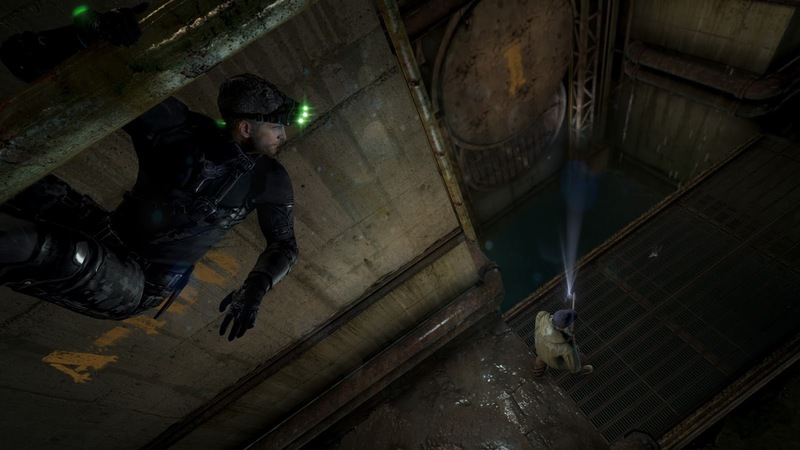 All in all I felt Splinter Cell Blacklist was what I wanted from the sequel to Conviction. The game feels deeper with more options and variation. It returns with great ideas from the previous game, yet manages to return closer to it's more stealth oriented roots. I really just enjoyed playing each mission and being put in very varied situations around the globe. One of the best stealth games in a long time.